In sharp contrast to the sheltered south, Cornwall's north coast offers few places of refuge from winter storms. The creeks, natural harbours and estuaries are replaced with mile after mile of rugged inhospitable cliffs battered by almost constant swells, and punctuated by the occasional fishing cove, whose entrance is usually guarded by difficult and dangerous rocks. Stopping-points are few and far between, and violent Atlantic storms are commonplace. 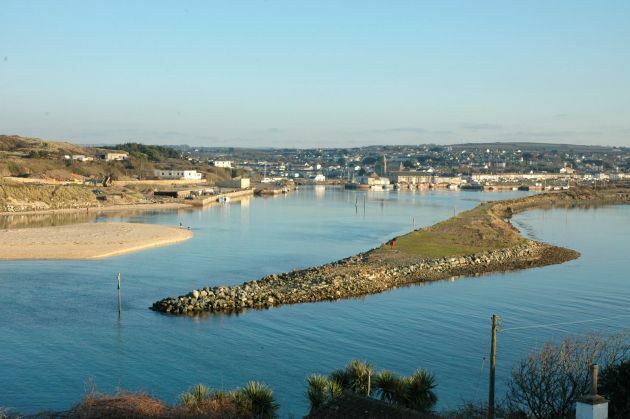 Facing St Ives and sheltered by Carbis Bay, the former mining port of Hayle is home to a good-sized harbour that has fallen into a state of disrepair. Recognising the potential of what is essentially one of about three safe harbours on Cornwall's north coast, numerous developers have tried to transform it into a profitable marina, the latest being ING Real Estate, an international company who bought the harbour in 2004 and have since been trying to pass plans for a large-scale development that will include a marina, houses and a supermarket. As yet no work on the project has begun. Sailing north from Hayle you will pass Godrevy, the famous inspiration for Virginia Woolf's book To the Lighthouse before rounding the headland into Portreath. 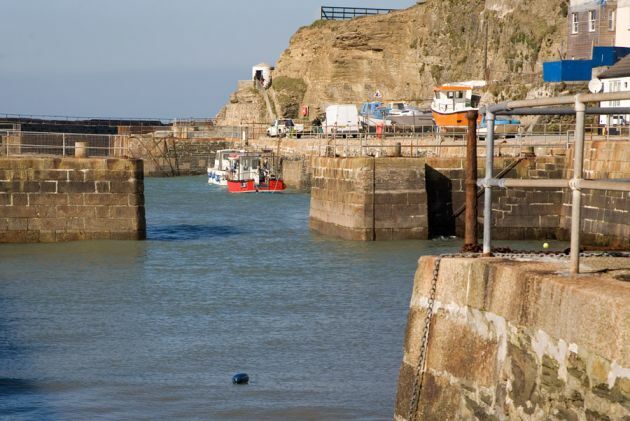 Portreath is home to a small drying harbour with a local fleet of forty fishing and pleasure boats and limited visitor moorings (donations to the Portreath Harbour Association). Developed as a busy port serving the Redruth and Camborne mining industry, Portreath is an unlit harbour to which entry is dangerous in heavy seas or strong westerly winds. 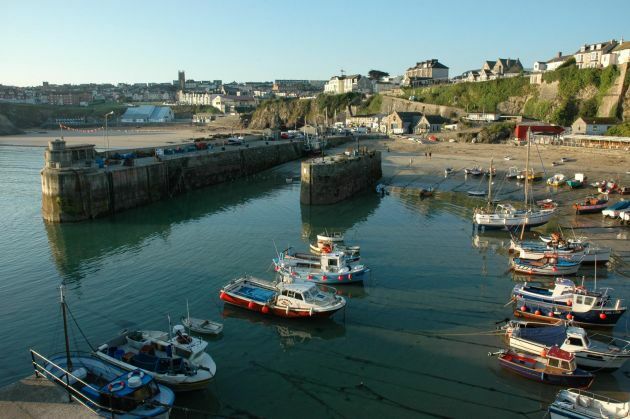 The next usable harbour after Portreath is Newquay. 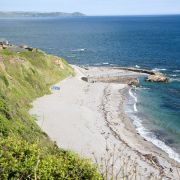 Cornwall's Benidorm, the intense popularity of this former Victorian seaside resort which boasts no less than eleven beaches and Cornwall's only airport, causes the population to quadruple during the summer months. 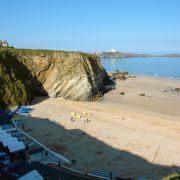 Much of Newquay's popularity rests on its entirely justified reputation for consistent surf and occasional enormous swells, a fact that is reflected in the history of Newquay Harbour. 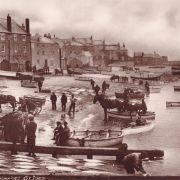 What is now North Quay was already home to a jetty in the 14th century, but by 1586 it had been destroyed by storms. Lord of the Manor, Edward Arundell of Trerice, aware of the importance of Newquay as one of the few places offering shelter on the entire length of the north coast, was moved to give £20 to the 'edyfying of a pier in the parish of St Columb the lower called Newe Kaye', and over the next few centuries Newquay became an important centre for exports. 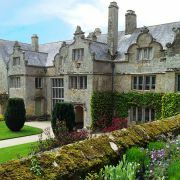 When the manor of Towan Blystra (today's council offices) was sold in 1770 to a businessman called Richard Lomax, he noticed that the lack of a safe harbour was hampering trade. The beaches were only accessible at high water and large queues were forming and causing delays. A deputation from his tenants and the coastguard convinced him to tackle the problem, and in 1831 he borrowed £10,000. 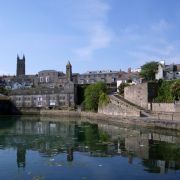 The first stone of South Quay was laid in 1832 and work continued until 1838, by which time Lomax was dead and the manor had been bought by a Victorian industrialist from Fowey called Jospeh Treffry, who immediately set to work building the North Quay. In 1844 a railway was built linking the mine at East Wheal Rose to Newquay Harbour and the town began the rapid expansion that continues to this day. The approach into the harbour is relatively straightforward, although visitor moorings are limited, as is berthing space on the quay. 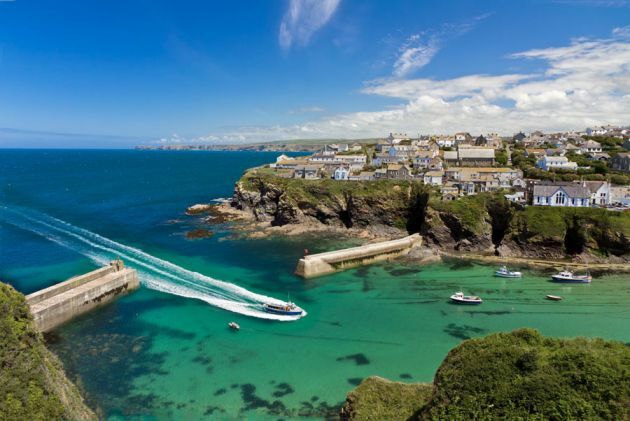 The next place to offer shelter is Port Isaac, an atmospheric traditional fishing village with a tidal harbour to which entry is difficult unless conditions are abnormally calm. A recent breakwater has been added at the harbour entrance, which does allow smaller local fishing boats to stay at their moorings year round, although waves still top it on occasion. As there is little spare mooring space and more than a thousand wrecks in the bay, it is probably better to continue around the headland into Padstow, where conditions for visiting yachtsmen become a little easier. The town, which lies in the Camel Estuary some 1.5 miles from the open sea, is built around the harbour that still supports it (along with Rick Stein and tourism). 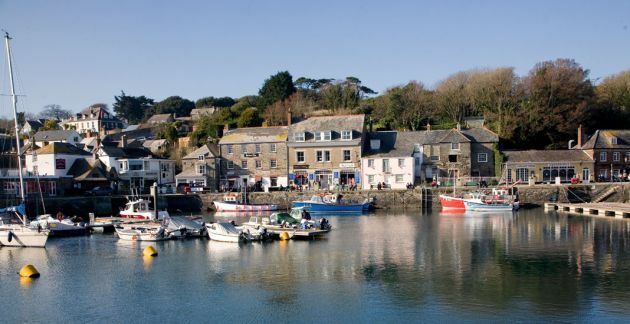 Padstow, like Falmouth, is a commercial port (able to take boats up to 2000 tonnes) with a thriving inshore fishing fleet and a decent-sized marina for visiting yachts (contact the harbourmaster on arrival). The harbour's seaward limits are bounded by a line joining Stepper Point, Gulland Rock, Newland and Pentire Point and a tidal gate on the inner harbour is open approxaimately two hours either side of high water. If the gate is closed there are safe anchorages in the 'pool' at low water. Padstow Marina is within range of all facilities, including showers, toilets, diesel, and laundry, while fresh water and electricity are available at all the inner harbour berths. 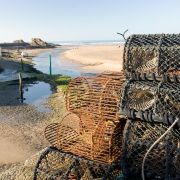 The town is an excellent place to spend the night with a range of fabulous seafood restaurants and several pubs. The ferry across the water to Rock is thought to be the oldest crossing still in continuous use in Britan. North of Padstow, Bude offers temporary moorings for visiting craft in the outer harbour, depending on tides and conditions. There is also mooring inside the lock gates in the canal basin depending on tides. Entry is dependent on prior notification of the harbourmaster, limited to two hours either side of low water, and not to be undertaken at night or during heavy swells. Water is available upon request.